If you’re the type of person who gets bloated from the sight of a donut, while your friend can eat half a dozen without gaining a pound—there’s no need to strangle him or her (unless they’re being particularly obnoxious about it). Instead, blame your genes—all of us have a unique genetic makeup that not only affects how we look, but how our bodies respond to food and exercise. That means that yoga and pilates may be enough for some to slim down, while others need heart-pumping cardio and weights to get the same results. Yes, life is unfair, but if you don’t want to waste your time guessing and/or experimenting with different diets and fitness regimes, there’s a solution for that. DNA testing is by no means a new concept—it was first introduced in the mid-’80s for criminal investigation but luckily, you no longer have to be a murder suspect to get access to a DNA test. From ancestry and paternity to health and fitness, there are now many companies on the market that offer them. 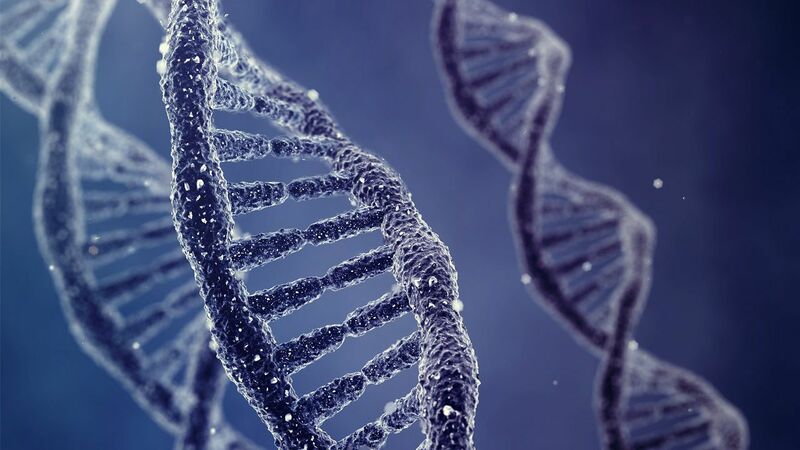 One such company is UK-based DNAFit, which was recently acquired by Prenetics, another genetic testing company in Southeast Asia founded by Generation T lister Danny Yeung. Focusing on helping individuals reach their health and fitness goals, DNAFit is available at the Mandarin Oriental Hong Kong and directly from DNAFit. All it takes is a quick saliva swab that’s sent to their UK headquarters for analysis. Three weeks later, you’ll be sent a comprehensive report of the test results by email, which include a summary infographic, personalised diet and fitness reports, and plenty of supplementary documents to help you understand how to apply all this new information. As someone who is quite health-conscious—I exercise regularly (3-4 times a week) and watch what I eat (I’ve been pescetarian for six years)—I was curious to see whether DNAFit could tell me something I didn’t already know. After all, I figured I knew myself pretty well after many years of diet and workout experimentation. When I sat down with DNAFit’s representative to go through my report, there were no real surprises. According to my results, I was best suited for a Mediterranean diet (as opposed to a low-carb or low-fat diet), lactose-intolerant, medium sensitive to carbohydrates, salt and caffeine, and not too sensitive to fats. On the fitness side, I found out that I’m best suited for a mix of power (48.8%) and endurance (51.2%) activities (that is, high-intensity vs. longer bouts of cardio), I recover from exercise at a medium rate and have a slightly higher risk of injury than the average person (which could explain my recurring neck and lower back injuries). All of these diet and exercise factors were then built into a 12-week training and meal plan from DNAFit, both of which are very detailed and comprehensive with actual exercises (including reps, sets, tempo and rest periods) and recipes to follow (unfortunately many of them included meat—what about vegetarians?). Besides these practical guides, DNAFit also provided me with documents that go into greater detail about each gene and what they represent, but unless you’re really into science and genetics, it can get a little too technical for most. DNAFit did not offer too many revelations that affected my current diet and exercise, but it did serve as confirmation that I’m on the right track. According to the company, that’s often all that some people want to get out of a DNA test. Most of my takeaways were common sense when it came to healthy living: eat less carbs, saturated fats and more cruciferous vegetables (like broccoli, kale and Brussels sprouts), get a good mix of high-intensity and endurance exercise, and rest a few days between each workout to avoid injury. I couldn’t help but wonder if my results were actually unique, as it would have been great to see how I compared to others in my age range, gender and ethnicity. Sadly, that information is currently not shared by DNAFit so you’ll just have to take their advice as it is. The question remains: are there really people out there who can eat whatever they want and stay in shape, with little to no exercise? If you’d like to find out if you’re one of the lucky few, give DNAFit a ring. The DNAFit package at the Mandarin Oriental Hong Kong Fitness Centre is priced at HK$35,000 and comes with a six-month membership, full consultation, 12-week DNA matched training and programme and a complimentary PT session. The membership also includes 15% off spa treatments, retail and personal training.